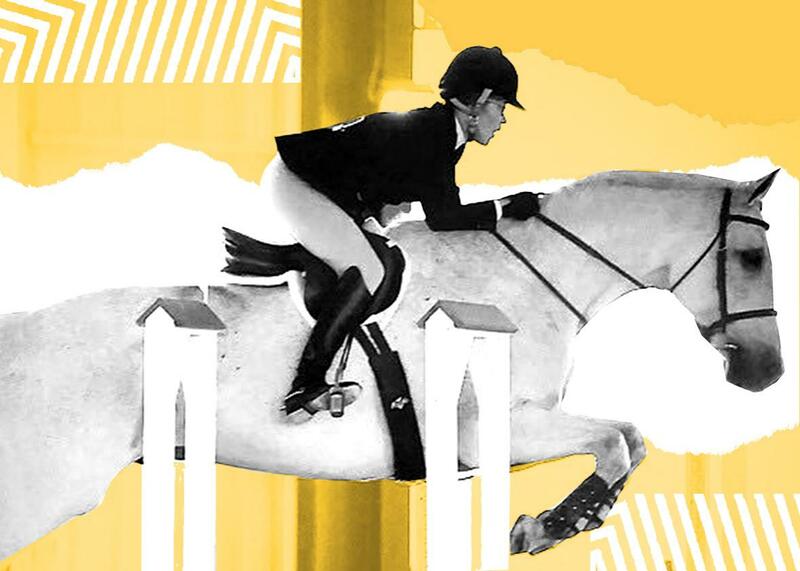 How does a show jumping horse work? In this episode of Working, we learn about the pampered lives of equestrian athletes. Photo illustration by Slate. Photo by Shawn McMullin. For the final episode of the season, we sat down with Shauna Alexander to talk about the lives and careers of show jumping horses, focusing in particular on one named Skywalker. Alexander tells us about Skywalker’s daily life and describes the training regimen that keeps him in competitive form. She also goes into detail about the relationship between animal and rider, explaining how they celebrate together and what they do when things don’t go according to plan. Then, in a Slate Plus extra, Alexander takes us full circle, back to the first episode of our season to describe the therapeutic and empathetic qualities of horses. If you’re a member, enjoy bonus segments from Working, plus other great podcast exclusives. Start your two-week free trial at Slate.com/workingplus. How Does a Livestock Guard Dog Work? How Does Fiona the Hippo Work?